Case of 12 ready-to-use quarts. 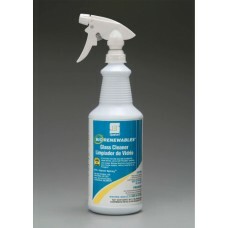 BioRenewables® Glass Cleaner RTU is a ready-to-use, biobased product.. 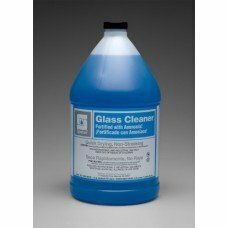 Economical window and glass cleaner. Dilutes 1:20. One quart makes five gallons! Contains distilled ..
Case of 4 gallons. 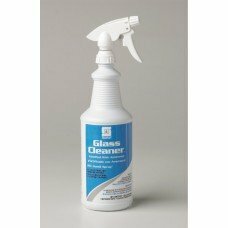 Economical window and glass cleaner. Dilutes 1:20. 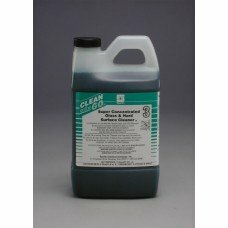 One quart makes five gallons! ..
Case of 4. 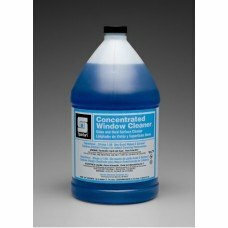 Clear blue, formula fortified with ammonia! Non-streaking. Non-filming. Retards soiling a..
Case of 12. 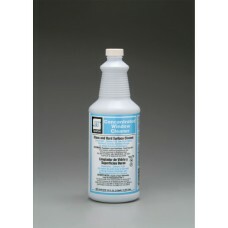 Quickly emulsifies and suspends surface soils and smoke film for easy removal without st..
Case of four 2-liter bottles. 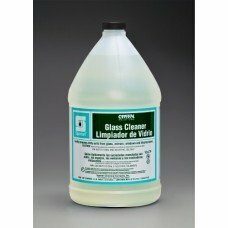 A highly dilutable formula formulated to clean glass and other hard su..